This artist’s impression shows what NASA’s HAVOC plan for a human colony on Venus would look like over the clouds of the planet. Venus has a surface temperature hot enough to melt lead and its atmospheric pressure is the equivalent of diving a mile underwater. 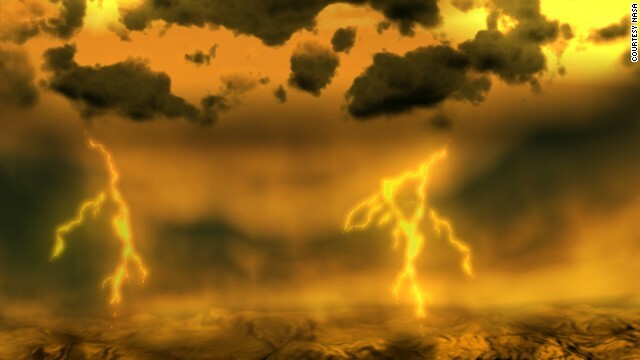 This artist’s impression shows a lighting storm seen from the planet’s atmosphere. 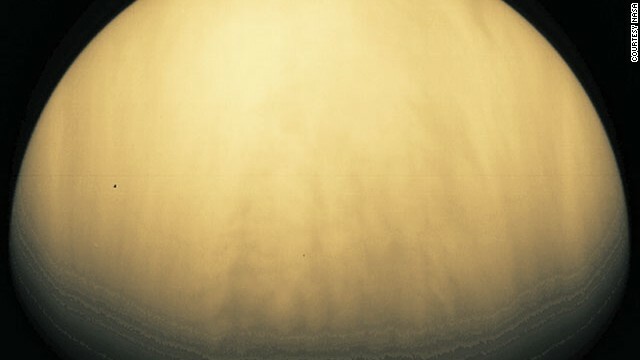 The Galileo spacecraft took this picture of cloudy Venus. The planet is similar to Earth in size and mass – and so is sometimes referred to as Earth’s sister planet – but it has a quite different climate. The planet is constantly shrouded in thick clouds and a runaway greenhouse effect is ongoing. 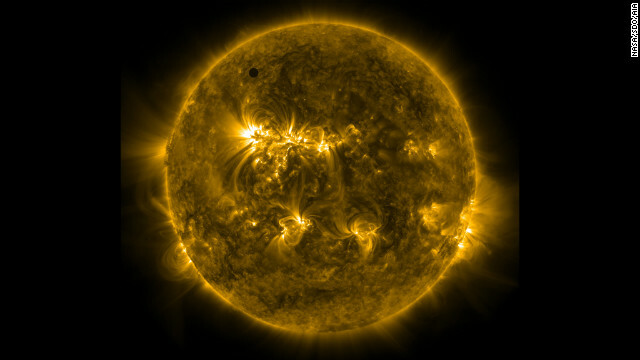 An ultraviolet image taken from NASA’s Solar Dynamics Observatory spacecraft shows Venus at the top left of the sun. 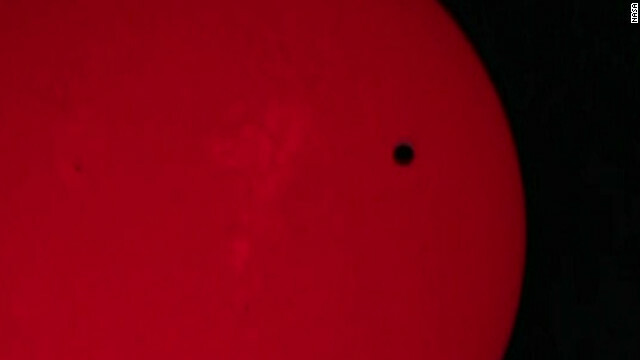 Venus transiting in front of the Sun. The blue color of this image is used to show contrasts in cloud patterns. This image was taken with a violet filter. 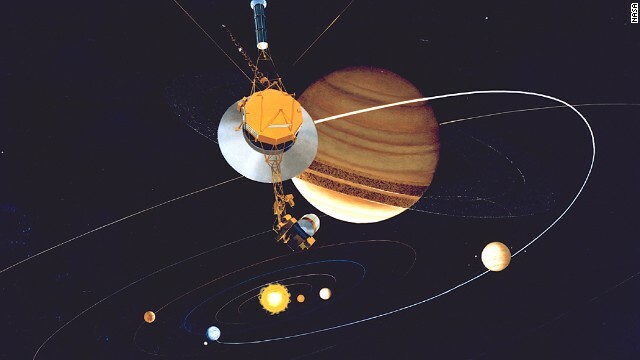 The Magellan probe orbited Venus from 1990 to 1994 and peered through the clouds: this image was created by emitting and re-detecting cloud-penetrating radar. Surface views of Venus. The center image is centered at the north pole. The other four are centered around the equator. 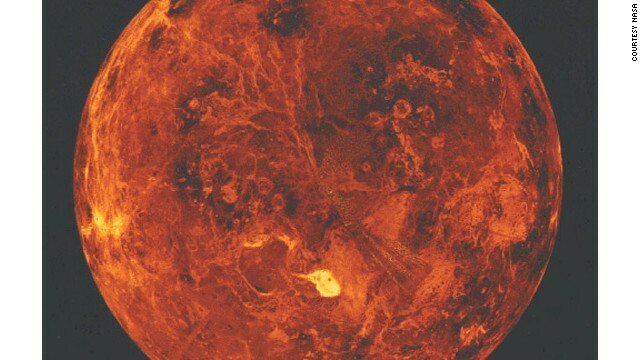 This image is part of the first color panoramic view from Venus. 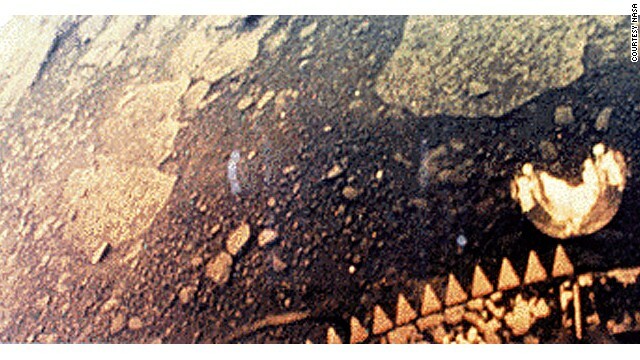 A TV camera on the Soviet Venera 13 lander that parachuted to the surface in 1982 transmitted it. 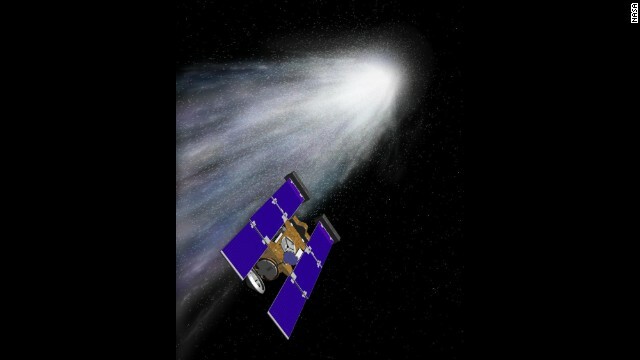 (CNN) — Imagine a blimp city floating 30 miles above the scorching surface of Venus — a home for a team of astronauts studying one of the solar system’s most inhospitable planets. 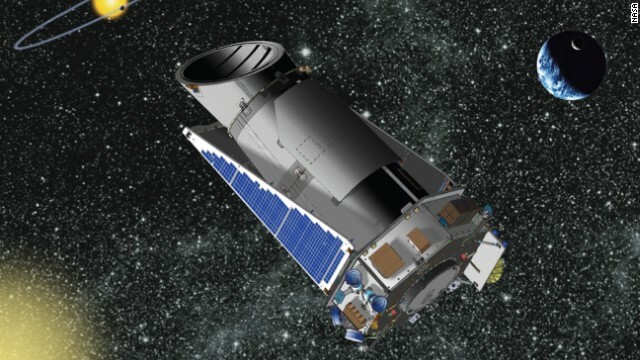 NASA is currently doing just that; floating a concept that could one day see a 30-day manned mission to Earth’s closest planetary neighbor. Eventually, the mission could involve a permanent human presence suspended above the planet. NASA’s floating ‘habitat’ above Venus? Also known as the morning star, and named after the goddess of love and beauty because it shone the brightest of the five planets known to ancient astronomers, Venus is a hot, sulphurous, hellish place whose surface has more volcanoes than any other planet in the solar system. With a mean temperature of 462 degrees Celsius (863 degrees Fahrenheit), an atmospheric pressure 92 times greater than Earth’s and a cloud layer of sulphuric acid, even probes to Venus have lasted little more than two hours. 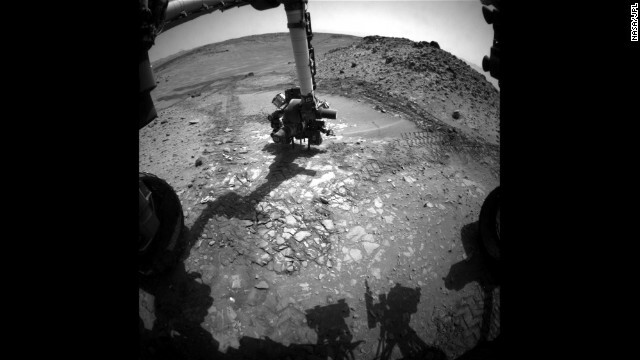 Its surface is hot enough to melt lead and its atmospheric pressure is the equivalent of diving a mile underwater. 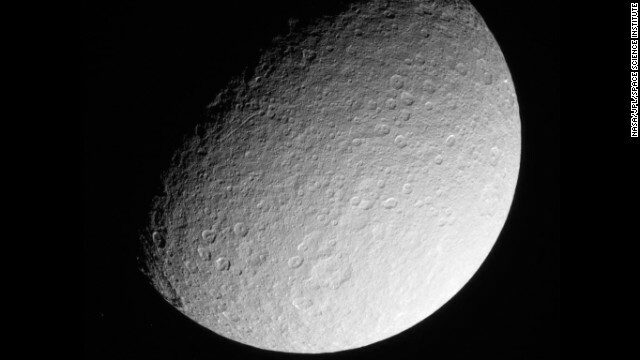 But above this cauldron of carbon dioxide at an altitude of 50km (30 miles) scientists say the conditions are as close to Earth’s as you’ll find anywhere in the solar system. 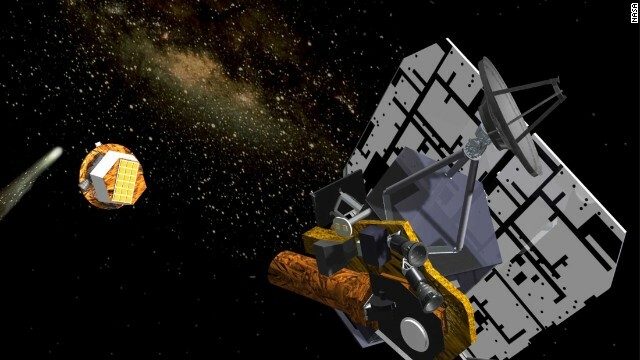 The gravity at this altitude is only slightly lower than that of Earth, its atmospheric pressure is similar and the aerospace provides enough protection from solar radiation to make it no more dangerous than taking a trip to Canada. Known at NASA as HAVOC – High Altitude Venus Operational Concept – engineers and scientists at the Systems Analysis and Concepts Directorate at NASA’s Langley Research Center in Hampton, Virginia, have been working on a preliminary feasibility study on how robots and humans could make a Venus mission a reality. “The atmosphere of Venus is an exciting destination for both further scientific study and future human exploration,” said aerospace engineer Christopher A. Jones of the Space Mission Analysis Branch. 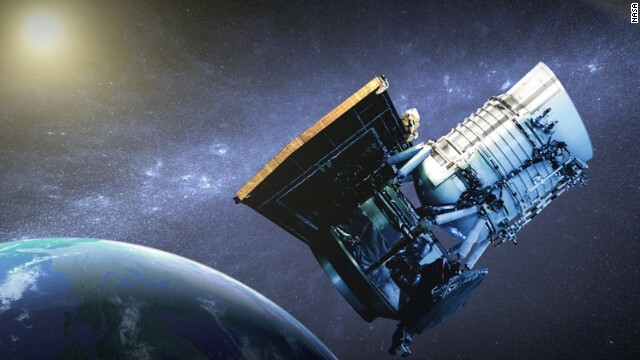 He said the study showed the mission would require less time to complete than crewed missions to other planets and could even be a practice run for a Mars mission. Venus has the advantage of being much closer to Earth. Its minimum distance to Earth is 38 million kilometers, compared with 54.6 million to Mars. “The kind of multi-decade mission that we believe could succeed would be an evolutionary program for the exploration of Venus, with focus on the mission architecture and vehicle concept for a 30-day crewed mission into Venus’s atmosphere,” he said. At the heart of the concept is the logistically difficult task of sending a spacecraft into the atmosphere of Venus without landing it. 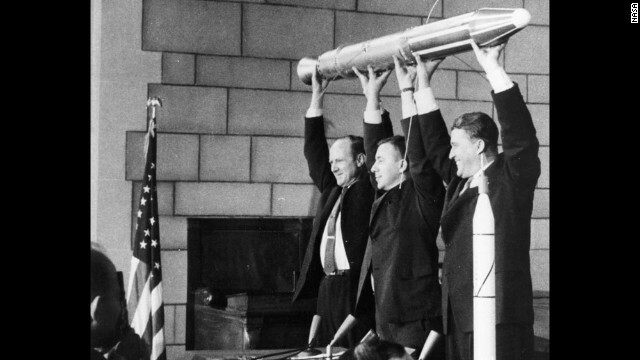 The HAVOC model involves placing the astronauts inside an ‘aeroshell’ that would enter the atmosphere at 4,500 miles per hour. Decelerating during its descent to just 450 meters per second and then deploying a parachute, the shell would fall away to reveal a folded airship. 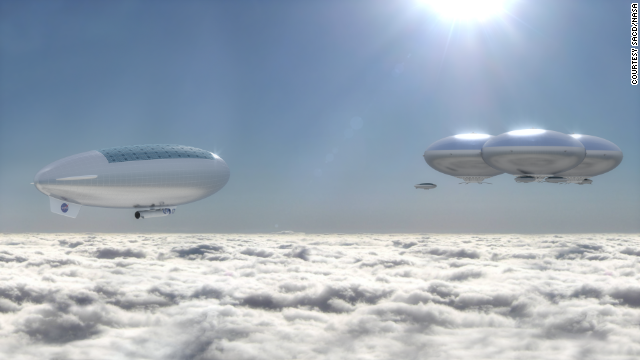 Robotic arms would unfurl the blimp which would be inflated with helium to allow the airship to float 30 miles above the planet’s fiery surface. 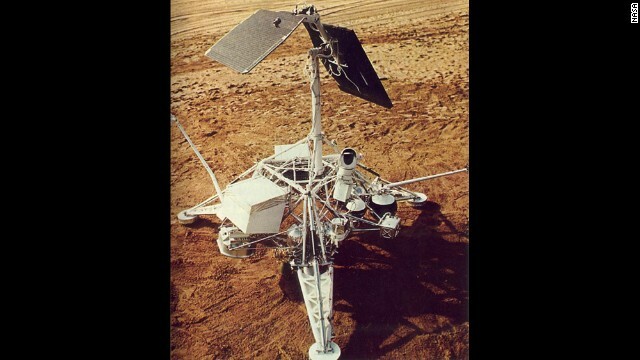 Jones said the key technical challenges for the mission include performing the “aerocapture” maneuvers at Venus and Earth (the process of entering the orbit of both planets), inserting and inflating the airships, and protecting the solar panels and structure from the sulphuric acid in the atmosphere. 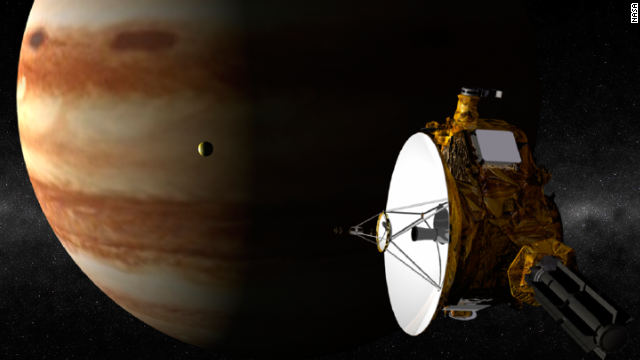 “With advances in technology and further refinement of the concept, missions to the Venusian atmosphere can expand humanity’s future in space,” he said. 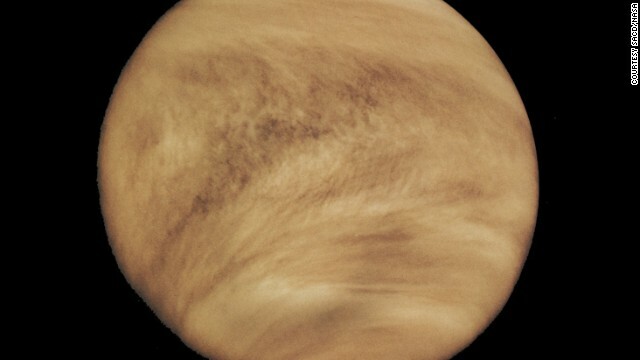 Ultimately, NASA could seek a permanent manned presence in Venus’s atmosphere. Suspended in a gondola beneath the airships, astronauts would not have to contend with the physical challenges of zero gravity, where weightlessness causes muscles to wither and bones to demineralize. And at a mere 167 degrees Fahrenheit (75 degrees Celsius) — just 30 degrees Fahrenheit hotter than the highest temperature ever recorded on Earth — even current technology has the ability to contend with everything that Venus could throw at the mission. 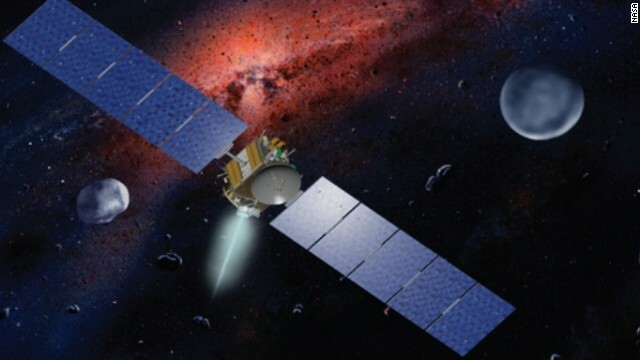 Even so, HAVOC is envisioned as a multi-phase campaign and robotic missions would have to be sent to test technologies and better understand the atmosphere. While NASA has no current plans to fund the concept, the Langley-based team continues its work with the hope the space agency could make the plan come to fruition within several decades. “Eventually, a short duration human mission would allow us to gain experience having humans live at another world, with the hope that it would someday be possible to live in the atmosphere permanently,” Jones said. 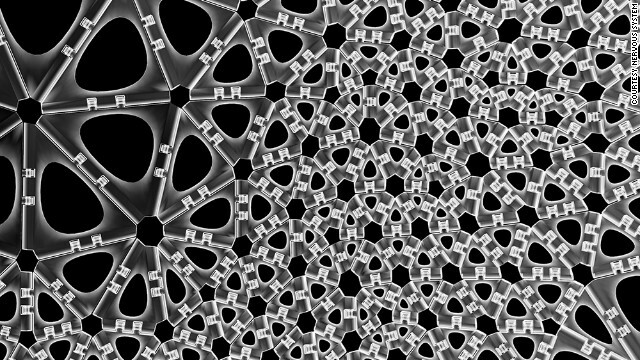 Is the Darknet a glimpse into the web of the future? Snapscan is a mobile payments system that works using QR codes. 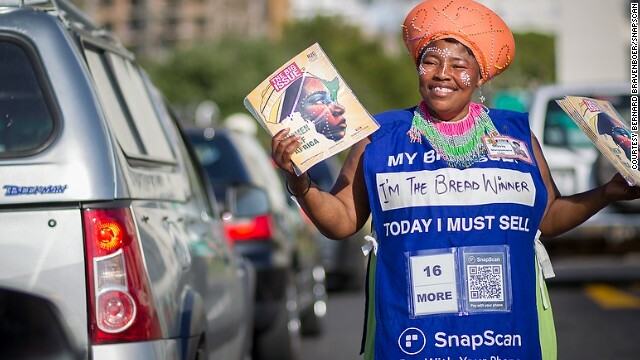 The South Africa based startup won MTN App of the Year in 2013 and used the prize money to set up all of Cape Town’s Big Issue magazine vendors with “snapcodes” so that they can accept payments via the app. Riders from Sendy’s fleet of bike couriers. 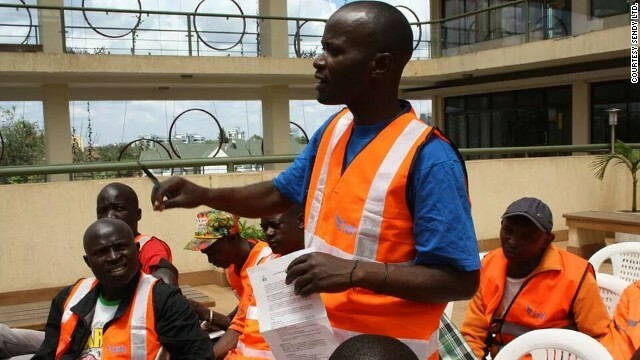 The Kenya-based startup offers an Uber-style motorbike delivery service that gives customers the ability to track where their delivery is in real time via a phone app. 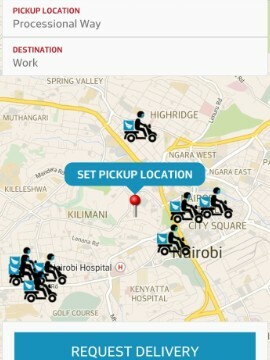 A screen grab from the Sendy app shows what the courier tracking system looks like. 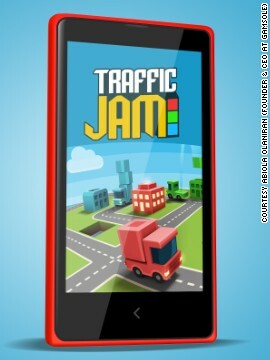 Gamsole’s Traffic Jam game for Windows phones. The Nigerian startup is the poster child for African game developers — their games have been downloaded nine million times globally since launch. Gamsole founder Abiola Olaniran. The Nigeria-based game developer recently received an innovation grant from Microsoft and launched a talent competition for illustrators and designers. 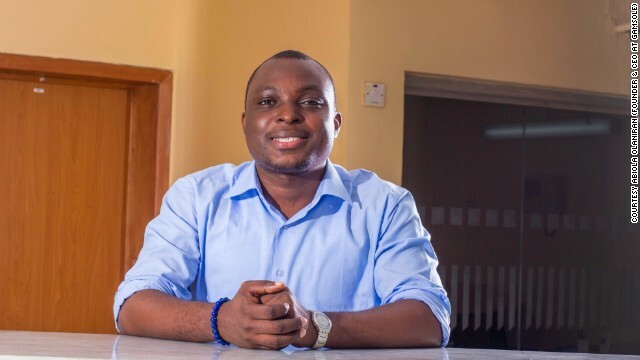 Nigeria-based startup Delivery Science is all about using data and analytics to help Africa’s nascent e-commerce sector manage inventory and delivery more efficiently. Kenya-based Angani hopes to grab a chunk of the burgeoning cloud-computing market in Kenya — and in future across East Africa — by offering an affordable “pay-as-you-go” service. Pictured are Angani co-founder Phares Kariuki (front) and Chief Technical Officer Brian Muita in the company’s data center. 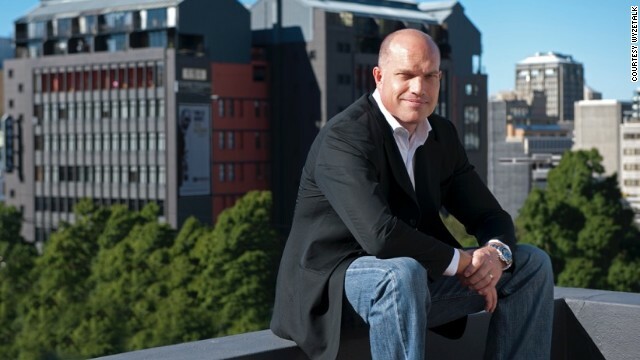 South African businessman and Wyzetalk co-founder Gys Kappers. Wyzetalk is an invite-only social platform for business, which allows workers to collaborate more efficiently. It is currently used by companies in industries across travel and tourism, food and drink and technology. 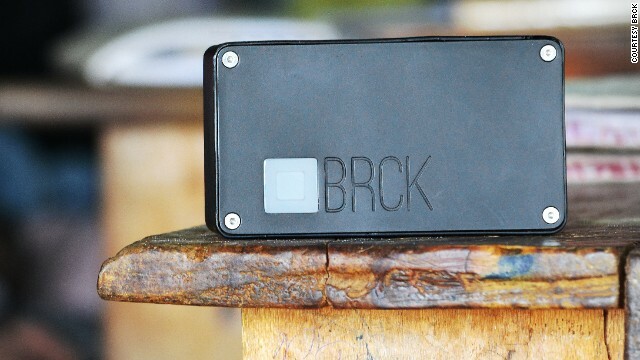 BRCK is a black box that contains a self-powered, mobile WiFi device. Its creators describe it as “a backup generator for the internet” and say they designed it with the aim of solving Africa’s connectivity issues. The huge potential impact and scale of BRCK powered it to a $ 1.2 million seed funding round, after raising $ 172,000 in a Kickstarter campaign in 2013. Editor’s note: Nigerian new media entrepreneur Loy Okezie is the Founder and Chief Editorial Officer of Techloy.com, a leading source of technology news, opinion and analysis. 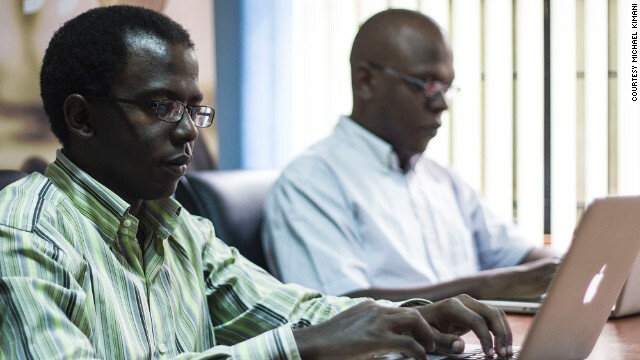 Lagos, Nigeria (CNN) — 2014 has been another amazing year for startups in Africa. More and more entrepreneurs turned their attention to building businesses that can solve the continent’s problems and provide services it has long awaited. Enterprises emerged to fix problems in payments, traffic and talent, while more entrepreneurs raised more money from investors than ever before. Here, in no particular order are 10 of the most exciting young companies of the year. (Irofit’s) offering — mobile payments over mobile networks — is unique. It’s something that hasn’t been done before. The list includes the startups I consider to have the most potential, to be the most viable — not necessarily the most popular or hyped. In a nutshell: Uber-style motorbike delivery service. What’s unique: Africa has delivery services and courier services but never before Uber-style so you can track exactly where the deliver rider is via your phone app. Sending packages is usually expensive and difficult in big, congested African cities like Nairobi and Lagos. Many people use motorbikes to get to work to avoid getting stuck in traffic, so using motorbikes for deliveries is a smart, cheap, local solution. Future moves: Sendy is in a very strong position because e-commerce is growing and at some point those kinds of sites could integrate with companies like Sendy. It could also potentially be acquired by a foreign company, perhaps Amazon, if they decide to expand to Kenya or South Africa and want to invest in a delivery service that understands the terrain. What’s unique: This is nothing new internationally, but the cloud computing space in Kenya is nascent. Angani are coming into the market trying to make prices affordable. What makes it cool is that you pay for what you use. You choose a plan and go. Future moves: It may be difficult for Angani to scale in a short time, given that all of their competitors in this new and growing market are established players. It remains to be seen whether their tactic of driving competition with low prices will attract enough customers. (Gamsole is) celebrated as the biggest success story of any African game developers. What’s unique: Their offering — mobile payments over mobile networks — is unique. It’s something that hasn’t been done before. Making mobile payments over the internet can often be an issue in Africa, so Irofit are leveraging more widespread mobile networks. Future moves: They launched very recently, and no one has used the app yet. But Irofit raised $ 600,000 in just six months earlier this year, showing that there are big players who think the startup has real potential. What’s unique: A business platform for companies to help their employees to more effectively communicate. Staff can use the platform to collaborate on projects, set up meetings, instant message, share files and more. Future moves: Wyzetalk has been around since 2011, but they have built the company steadily, winning round after round of funding, which shows they must be doing something right. It is currently used by companies from a variety of industries including travel and tourism, tech and food and drink. They have a very solid model and are likely to keep growing. What’s unique: Celebrated as the biggest success story of any African game developers, this startup has been developing games in the Windows phone market for a couple of years. Gamsole was incubated in the 88mph accelerator and since then their games have seen 9 million downloads globally. Future moves: Gamsole recently received an innovation grant from Microsoft and are looking for new talent with a recently launched competition for illustrators and designers that offers $ 4,000 to the winner. They are also yet to launch a global smash hit game. This product (BRCK) is quite ingenious. What’s unique: A service, not dissimilar to Apple Pay, which allows people to make payments with their mobile phone by simply taking a photo of a QR code and punching in the amount they want to pay. 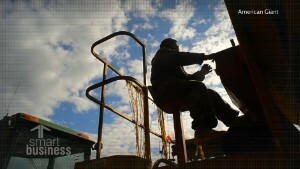 Future moves: Less than a year after launch, the system was being used by 12,000 small businesses. There is huge potential for this service: There is an appetite for convenience in payments and there is an opportunity to leverage on Africa being mobile first. They have the potential to expand into other markets and maybe even compete with Apple Pay and Google Wallet. What’s unique: This startup is all about using big data and analytics to help companies in Africa’s emerging e-commerce sector manage inventory and deliver more efficiently. 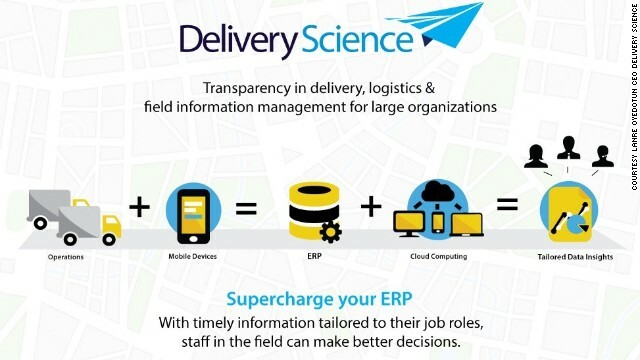 Delivery Science offer to completely manage a company’s logistics from what’s in the warehouse to innovative ideas like verification codes for deliveries to ensure the right person gets a package. Future moves: The company was started this year by a team who have successfully launched other startups and who are knowledgeable in delivery and logistics. They have the right idea and the knowledge to serve the market in Nigeria. In a nutshell: Out-of-the-box payroll management application. What’s unique: Right now, many companies in Ghana still use spreadsheets to organize employee pay. Paysail offers an all-in-one service that comes with Ghanian tax codes programmed in to make company accountants’ jobs easier. Future moves: It’s a new idea. It’s different. Most of the companies — like this one — that are incubated in the Meltwater Entrepreneurial School of Technology in Ghana try to reach other markets. Right now, no one is doing anything like this in next-door Nigeria, which means the Paysail application has opportunity to offer an incredible change. What’s unique: Andela is focused on helping employers from all over the world find talent from Africa. They take it a step further by identifying raw talent and paying them to learn to become developers, then matching them with global employers looking for talent. The company currently has a local office in Nigeria and a company in the United States. Future moves: This company’s approach is very smart. In Africa there is a desperate need for talent — we don’t have enough developers, let alone quality developers, because universities don’t qualify graduates in technologies for the future. There is also a huge market globally, so this company has a massive opportunity. Where: Kenya, all of Africa. In a nutshell: A self-powered, mobile WiFi device. 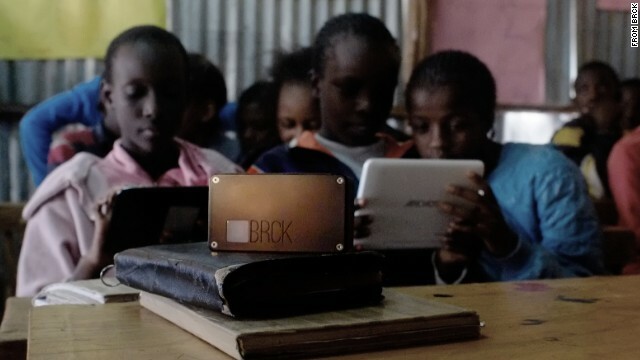 What’s unique: BRCK is a blackbox described by its makers as “a backup generator for the internet,” with the aim of solving Africa’s connectivity issues. In Africa, there are power outages on a daily basis so getting online and staying online anywhere and anytime in these parts as well as other parts of the world requires a device that can seamlessly switch between multiple networks to provide access, even in remote areas. That’s where BRCK comes in. 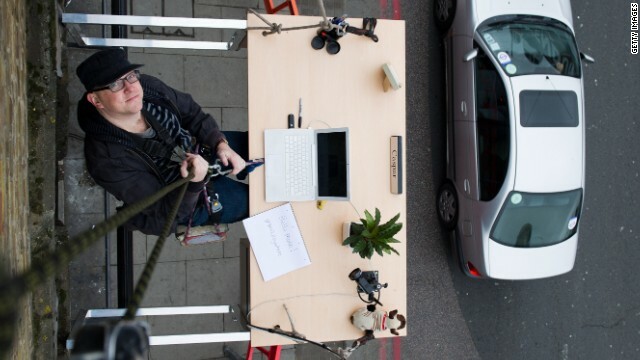 Future moves: This product is quite ingenious. The potential impact and scale of this company is the reason it closed a $ 1.2 million seed funding round, after initially raising $ 172,000 in a Kickstarter campaign last year. BRCK has the potential to provide internet connectivity to rural areas across the world, where Internet access can be unstable. A working prototype of Google’s self-driving car has cameras and sensors, but no permanent driver controls. 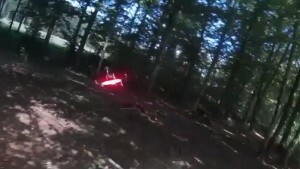 (CNN) — Google’s new driverless-car prototype is downright hugable. The company unveiled its latest self-driving vehicle on Monday, and it looks like a cartoon koala crossed with a smart car wearing a fez. Unlike the mock-up car Google first shared in May, this version is fully functional. It even has real headlights. The round, white and gray car is designed without permanent driving tools like a gas pedal or wheel. However, to comply with California state law, there are still removable, temporary controls for the required “safety driver” — a real person who needs to be in the car and ready to take over in an emergency. The goal is to eventually remove any interior controls so that passengers can take a nap or knit while the car does all the work. Google’s self-driving car team will continue to test the vehicle on a private track in California, where it works its way around traffic lights and mock construction zones. Google has said it’s interested in launching a pilot program for the cars in the coming years. When the tech company first started experimenting with self-driving technology, it modified existing cars, like a Toyota, Audi and Lexus, by adding multiple cameras and sensors and an onboard computer. Now Google has moved on to making its own car from scratch. 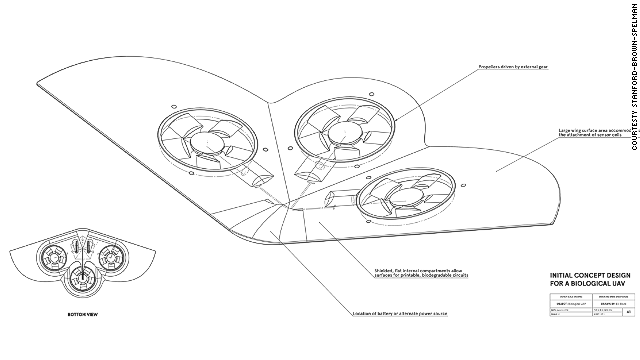 The car’s dome-like shape is optimal for giving sensors the widest field of view. A car could help put people’s minds at ease about the controversial technology. Before self-driving cars can start ferrying us to work, companies need figure out ethical issues (does it hit a deer or crash into the median? ), improve basic driving functions, and work with governments on legislation to allow driverless cars on all roads. 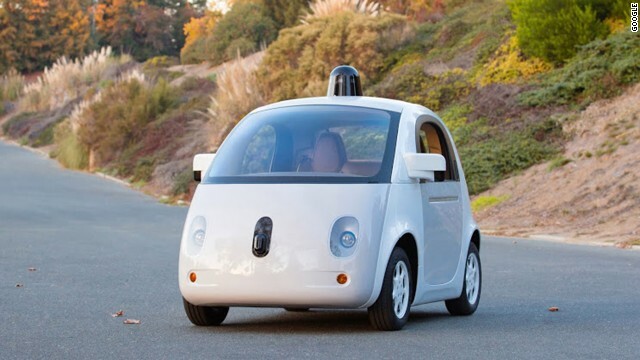 Google is just one of many companies developing driverless car technology. Universities and major auto manufacturers such as BMW and Mercedes are working on similar vehicles. 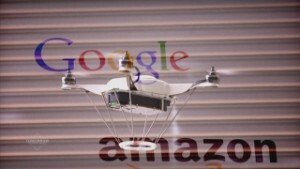 Google hopes to have its version on the road by the end of the decade. Substances such as modafinil (provigil) and piracetam are commonly used in industries such as software development. 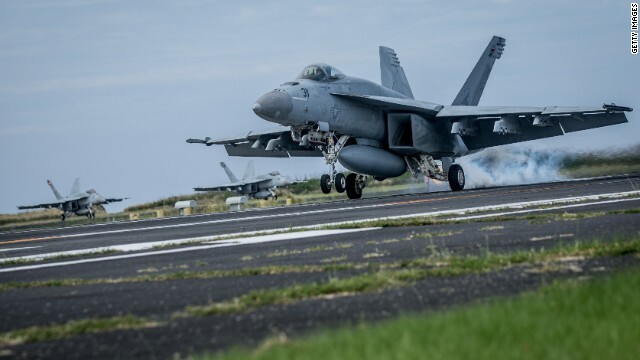 US air force pilots were among the first to trial modafinil in 1950s tests to improve alertness. 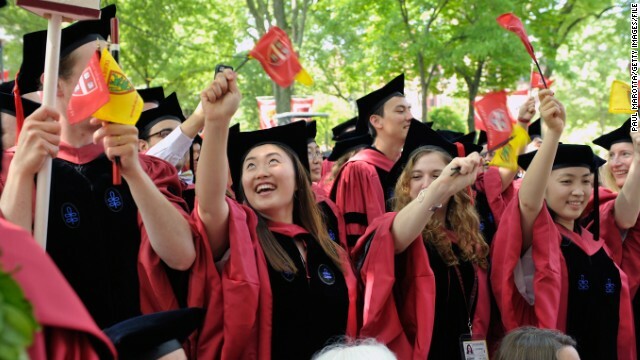 Smart drugs are increasingly popular at Ivy League colleges such as Harvard, with surveys showing approximately one in five students are users. 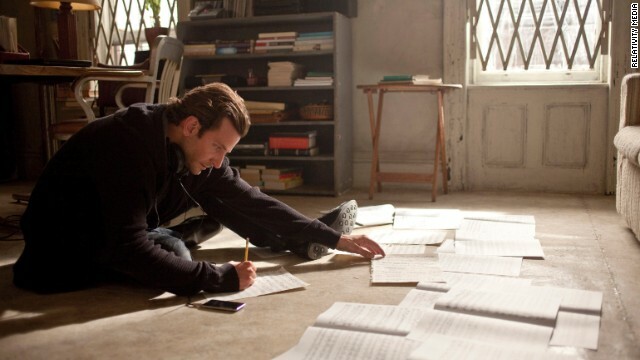 The profile of cognitive enhancement substances received a boost with 2011 movie Limitless, starring Bradley Cooper as a ‘perfect’ version of himself. 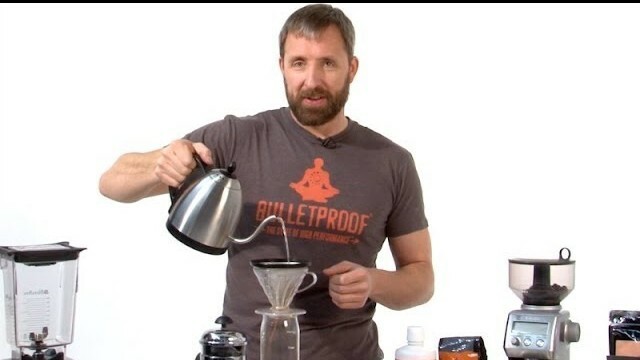 Dave Asprey, CEO of The Bulletproof Executive, has done much to popularize cognitive enhancement through his yak butter-infused Bulletproof Coffee. Th ex-Silicon Valley entrepreneur hopes the coffee will serve as a gateway to more advanced biohacking. Smart drugs could dramatically change the way we work. Editor’s note: Smart Business explores the ways companies are thinking smart to thrive in our digitized world. (CNN) — How did you wake yourself up this morning? Perhaps through a morning run, or hitting the yoga mat. Some favor good old caffeine, or new-age nutritional supplements. 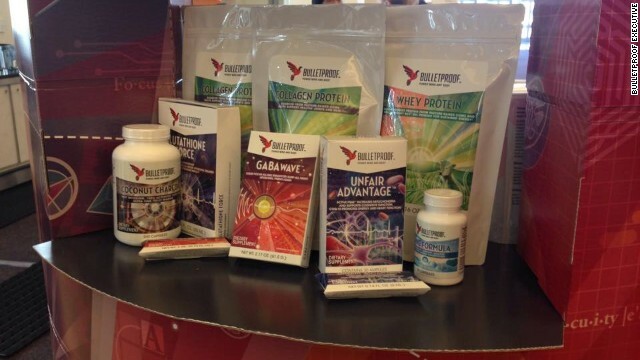 Rice has held a longstanding interest in nootropics — substances that improve brain function — as a means of enhancing his performance in a demanding business that requires tireless application. The producer emphasizes the value of healthy sleep and balanced diet, but through research and networking, has also developed an open attitude to cognitive enhancement. “I don’t want to be on the frontier trying designer drugs but there are interesting developments that are worth keeping tabs on. Piracetam has been around since the 1970s, and from reading the accounts and the research, I felt the risk was negligible. Rice’s approach is very far from unusual. “Smart drugs” that first entered the market in the mid-20th century, often through army experiments to keep fighters alert, have now reached saturation point in education, the start-up scene and many of the most demanding industries. Studies have shown improved memory and focus, while establishing few negative side effects. In the US and much of Europe, nootropics are typically available only through prescription, but enthusiasts find willing suppliers from overseas. 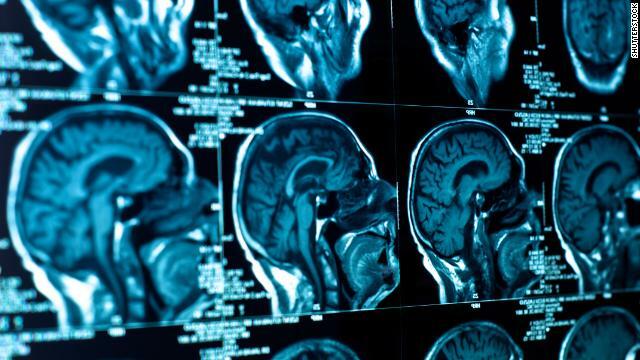 Dave Asprey, a former Silicon Valley entrepreneur and now CEO of The Bulletproof Executive, producing cognitive enhancement substances, says that use is now commonplace at the highest levels of business. 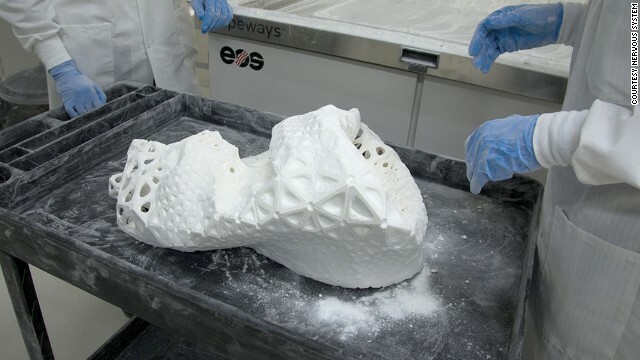 This represents progress based on improved understanding of biology and brain function, Asprey believes. The CEO cites “entrepreneurs and disruptive innovators” as demographics that have been quick to adopt and benefit from cognitive enhancement, as well as people over 50 that want to retain their mental sharpness. 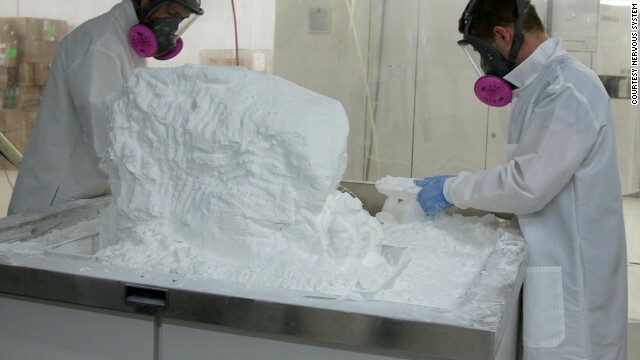 The growing spread of these substances create conundrums for business and employers. Schrage associates the spread of such substances with “high performance industries” such as trading, investment banking, journalism and software development. He views them as within a holistic field of performance enhancement that includes big data analytics, traditional nutrition and behavior — anything for an edge. Schrage adds that given the global race between businesses, it would be a risk for US companies to crack down on substances that competitors abroad could benefit from. 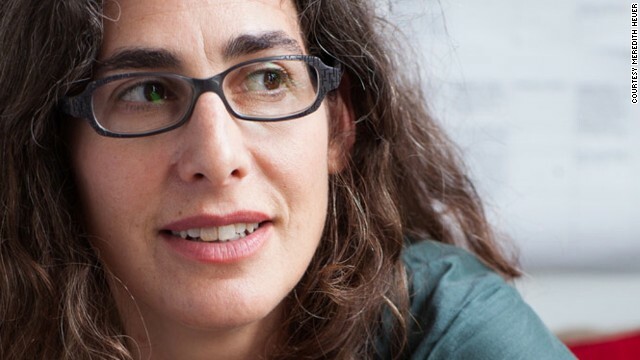 Neuroscientist and leading cognitive enhancement expert Professor Barbara Sahakian of the University of Cambridge feel there is value in the field, albeit tempered with uncertainty. 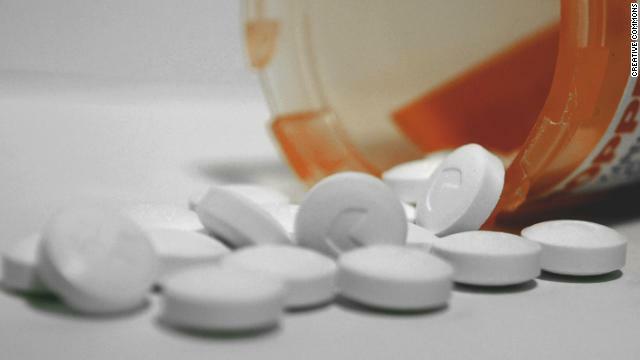 Sahakian would like to see further studies into the long term effects of Modafinil and other substances on healthy users, which could enable it to become more accessible, rather than the current supply route typically from unregulated international suppliers that may use dubious ingredients. The professor’s studies with impaired users have found that Modafinil does improve cognitive function, in areas such as memory retention and task-related motivation. Initial follow-ups with healthy volunteers have shown similarly encouraging results. In addition to further safety tests, Sahakian believes ethical issues must be taken into account. Yet a landmark British academy report into the effect of enhancement in the workplace addressed the question from the perspective of equality — whether all employees would have fair access to the drugs and their potential benefits. As the smart pills continue to cut a swathe through the working world, it is no longer possible to ignore them. This bio-drone might resemble a propeller-powered egg carton, but already the designers say it has the ability to fly into environmentally sensitive areas and leave almost no trace. 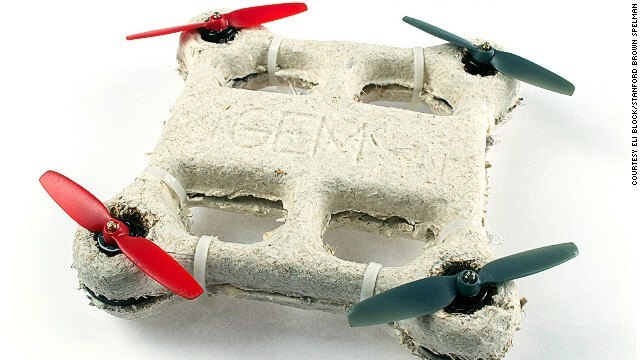 Made from a substance that combines mushroom fibres and cloned paper wasp spit, Lynn Rothschild, the NASA developer guiding students from Stanford-Brown-Spelman working on the project, says the drone could be made to disappear simply by crashing it into a stream or puddle. 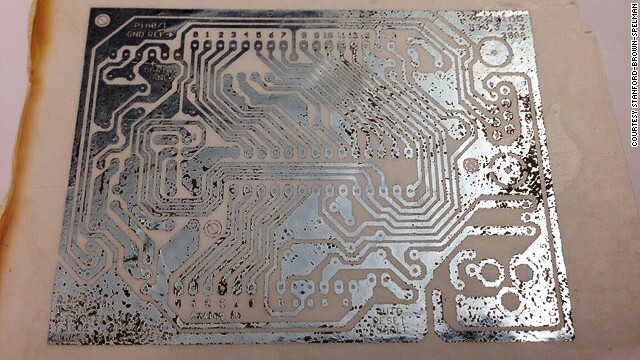 The team is working on perfecting the biodegradable drone and is studying how to build its sensors from modified E. coli bacteria, the bacteria most commonly found in the intestines of humans and animals. 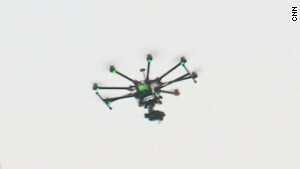 (CNN) — A bio-drone that dissolves after use leaving no trace it ever existed may sound like the stuff of a James Bond film, but NASA and a team of researchers are actually building one. What can you buy off the Darknet? 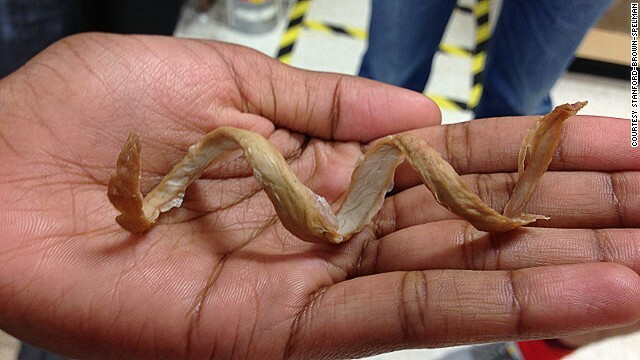 (CNN) — Mutant horrors, singers and kissing strangers had a big year on YouTube. All of the above joined soccer stars, a bending iPhone, a beer commercial and a dose of street activism on the video site’s list of the most popular posts of 2014. S.A. Wardega, a Polish actor, director and Web prankster, scored the top spot with “Mutant Giant Spider Dog,” which had scared up more than 113 million views since he posted it in September. It wasn’t without a dose of controversy. Taking the No. 3 spot, behind a Nike ad featuring soccer stars like Ronaldo and Wayne Rooney, was “First Kiss,” a social experiment of sorts in which complete strangers are brought together and asked to kiss each other. Except, this one wasn’t exactly as it first appeared. It was commissioned by Wren Studio, a small clothing company, to showcase a new clothing line. Almost all of those awkward strangers were, in fact, models. Director Tatia Pilieva said there was never an intent to deceive anyone, noting that the video begins with the words “Wren presents …” and the clothing company is mentioned in the credits. Unbox Therapy, a Web video series focusing on consumer electronics, posted a video after online reports began popping up of Apple’s massive, new phone bending in people’s pockets. Another creepy prank, “Devil Baby Attack,” took the No. 8 spot with nearly 49 million views and the team behind the goofy “Epic Rap Battles” scored with the No. 9 video, “Goku vs. Superman,” which got nearly 41 million views. A more serious effort rounded out the Top 10 list. Tenth place went to “10 Hours Walking in NYC as a Woman,” by anti-harassment group Hollaback. In it, a woman in jeans and a T-shirt is recorded walking as, one after another, men comment on her appearance, sometimes aggressively. Also on YouTube’s top 10 for the year were a nun’s performance on the Italian version of “The Voice” (No. 4), a performance by a kid hip-hop duo on “Britain’s Got Talent,” (No. 6) and Budweiser’s Super Bowl commercial, “Puppy Love” (No. 9). Katy Perry’s “Dark Horse” was the most popular music video of the year. The 20th Anniversary PlayStation 4 comes in the gray color of the original PlayStation and bears other imagery harking back to the history of the console. Only 12,300 will be released globally, a nod to 12/3, or December 3, the date the console was released in Japan in 1994. Here’s a look at the console through the years. The original PlayStation was a 32-bit console released in Japan on December 3, 1994 and in North America and elsewhere in September of the following year. It sold for $ 299 and became the first gaming console to ship more than 10 million units over the next decade. Pop superstar Michael Jackson plays Sony’s then-new PlayStation in May 1995 as Sony Corp of America CEO Michael Schulhof, left, and Phil Harrison of Sony Computer Entertainment-Europe look on. This photo was taken at the Electronic Entertainment Expo in Los Angeles. The PlayStation’s sequel, the PlayStation 2, wasn’t released until 2000. It upgraded to a 128-bit “Emotion Engine” CPU and added support for CD-ROMs. It would go on to sell more than 155 million units and run more than 3,870 game titles. Sony PlayStation fans wait in line to purchase the new Sony PlayStation 2 on October 25, 2000 at the Sony Metreon in San Francisco, California. Crowds began waiting at 6:30 a.m. for the $ 299 game console which went on sale at midnight. 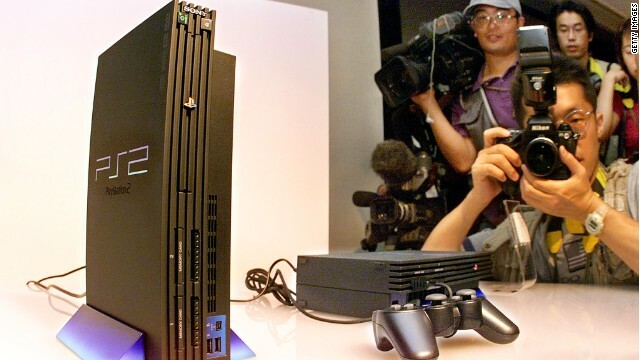 PlayStation 2 remains the top-selling video-game console of all time. 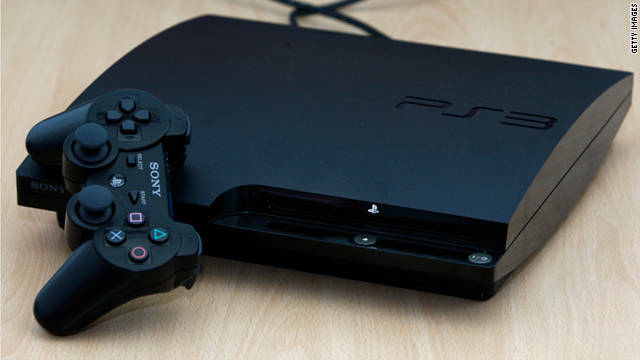 The PlayStation 3 was released in November 2006. 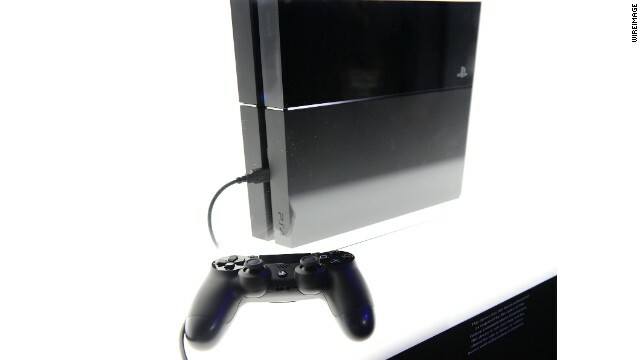 It was the first console to use Blu-Ray disc storage and utilized the online PlayStation Network. Such was the excitement for the new console that there were reports of fans fighting for spaces in line in advance of its release. 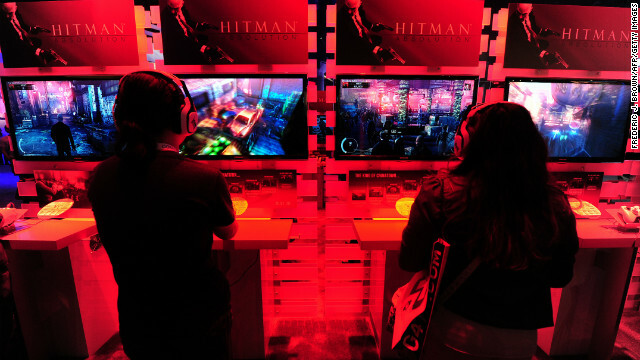 Gaming fans play PlayStation 3’s Hitman Absolution at the E3 videogame extravaganza in Los Angeles on June7, 2012. 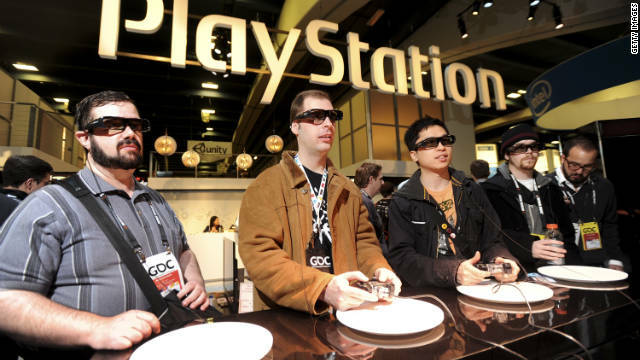 Some 45,700 video game industry professionals, investor analysts, retailers and journalists from over a hundered countries attended the expo. The PS4 heralded the console world’s move into multi-media, offering a Blu-ray player as well as the ability to stream Web video from apps like Netflix. Launched in November 2013, its computing power and graphics were significantly advanced from previous models. 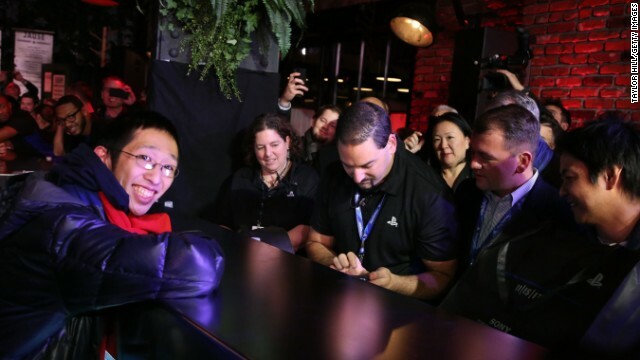 Joey Chiu, 24, of Brooklyn, left, buys the first PlayStation 4 sold in North America at a launch event presented by Sony Entertainment Network on November 14 in New York City. So-called next generation consoles like the PS4 have pushed new boundaries with their graphics capabilities. 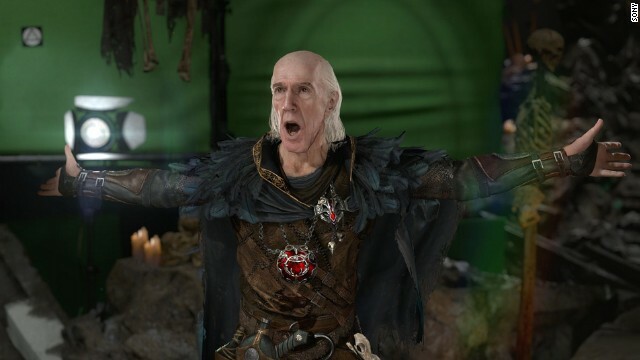 When “Dark Sorcerer,” a comedic demo, was shown on a PlayStation 4 last year, some at a Sony event weren’t sure whether they were seeing animation or live actors. 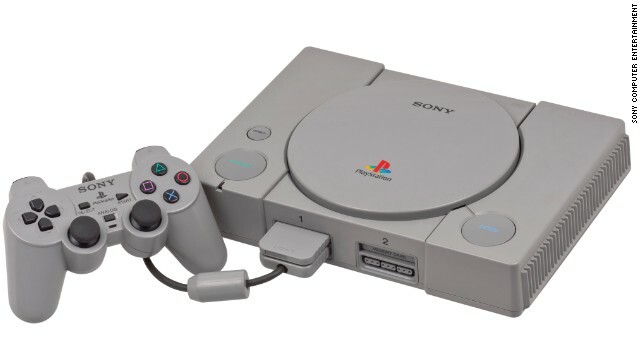 The Sony PlayStation was launched in Japan on December 3, 1994. Sony is releasing a limited-edition 20th Anniversary PlayStation 4. Only 12,300 of the units will be sold. (CNN) — The PlayStation gaming console wrapped up its second decade on Wednesday, and Sony celebrated by looking to the past. The Japanese tech giant announced that a limited edition 20th Anniversary PlayStation 4 will be released soon. 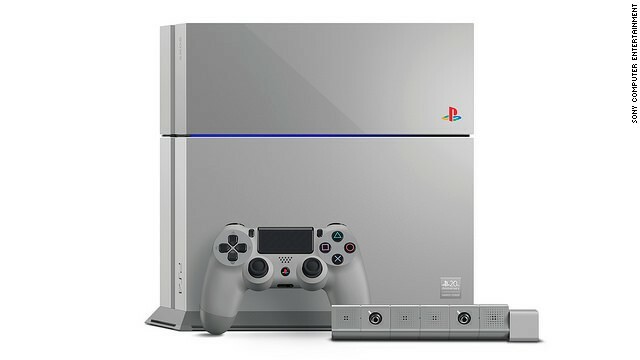 The console will be gray, like the first PlayStation released December 3, 1994 in Japan. It will include other imagery like the iconic four-color PlayStation logo that harks back to the system’s history. The PlayStation sold a then unheard-of 100,000 units in its first weekend and hit 1 million units in six months, according to Sony. Only 12,300 units of the 20th Anniversary PS4 will be released, according to a video on the blog post. Pre-orders will begin Saturday, and details about how to vie for one of the handful of slots will come during a keynote presentation from PlayStation Experience, a fan and developer expo being held in Las Vegas. The keynote will be Saturday at 1 p.m. ET. To celebrate the 20th anniversary, we assembled a gallery of images of the PlayStation, and the people who love it, from the past two decades. Take a look, and let us know what you think in the comments below.